It was a proud moment for Vivekananda Kendra Vidyalaya, Dibrugarh as students appearing in Class XII CBSE Board Examination also known as AISSCE (All India Senior Secondary Certificate Examination), 2017 showed commendable performance. A total number of 70 students appeared from the Vidyalaya out of which 38 candidates had appeared for Commerce and 32 candidates for Science respectively. The total pass percentage (%) is 97.36% in Commerce and 100% in Science. Kr. Tanish Ghosh scored 93.40% in Science and Kum. Sumedha Agarwal scored 96.20% in Commerce stream, achieving the top positions in their streams respectively. 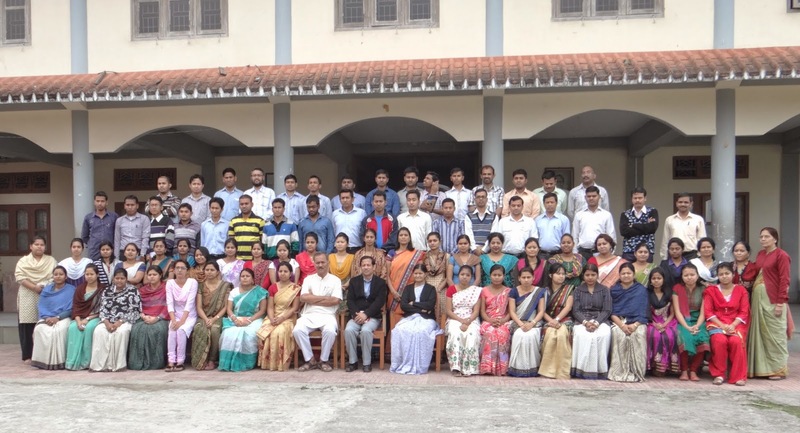 13 students in total scored above 90% aggregate from the Vidyalaya. The highest score of the subjects (Commerce) this year is Accountancy 95, Business Studies 97, Maths 97, English Core 95, Economics 99 and Informatics Practices 98.The highest score of the subjects in Science stream this year is Physics 95, Chemistry 92, Maths 95, Engish Core 95, Biology 98 and Computer Science 96.The Principal of the Vidyalaya, Sri Ravindranath D. Savdeykar is elated with the unexpected results of the students of the Vidyalaya. He has expressed his gratitude to the teaching staff, non-teaching staff, parents and well-wishers for their good wishes, guidance and able mentorship. Expressing his deep satisfaction he pointed out that the students of the Vidyalaya have brought remarkable feathers to the cap of the school and it is the outcome of the continuous hard work of the students and devotion of the teachers towards teaching. The Vice Principal of the Vidyalaya, Sri B.M Naidu in his message has also expressed extreme joy and extended his best wishes to the students and congratulated the parents.